Instant hipster cred for your legs! Here is the part where I try to sell things even though I’ve never been interested in selling things and throughout my career have put the most lackluster effort into any aspect of selling things required by any job I ever held. Only creating things interests me. For example, I drew this picture of a truck that The Man admires greatly, and then I used the Internet to make available to you this item: The ’52 Ford Bus Leggings. Designing for leggings is complicated, due to the fact that the image or pattern has to wrap around a person’s legs and so on. Personally, I think these pants are hilariously weird. However, I’m sure that someone, somewhere in this world, wants these leggings. 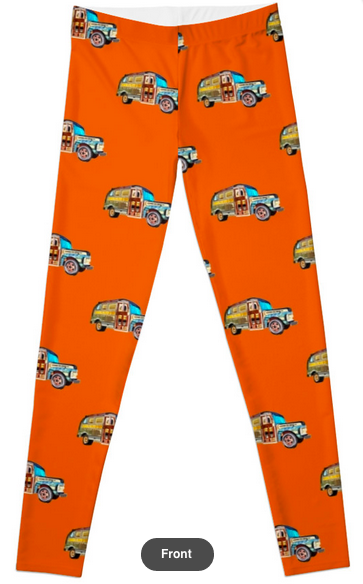 There is at least one human being who would be amused to go around wearing a pair of orange leggings festooned with the image of an old rusty bus. It is the power of the Internet that makes it possible for me to offer such obscure bottoms, as well as the power to allow that mythical person to access the ’52 Ford Bus Leggings, so, even though I’ve probably not done a successful job of selling them here, I can leave it up to the universe to connect these fabulous pants with their rightful owners. 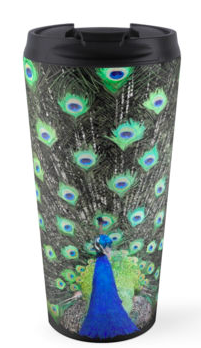 Here’s another relatively new product at RedBubble, for people who need to drink coffee everywhere and also either admire the abstract concept of beauty for the sake of beauty or else appreciate reminders regarding their own concept of themselves: The Vanity Has a Thousand Eyes Travel Mug is basically a painting of a peacock, emblazoned on a travel mug. What you see is what you get. It’s also available on a ceramic coffee mug, a canvas clutch, and a variety of other products, but it looks especially good on this mug, and if you like it, it will probably look especially good in your hand, in the cup holder of your automobile, and on the corner of your desk at work. See, that’s what advertising sounds like to me. It’s a coffee cup with a picture on it. Either you like it or you don’t. The point is to convince enough people to look at it so that there’s a statistically good chance that it appeals to one of them. 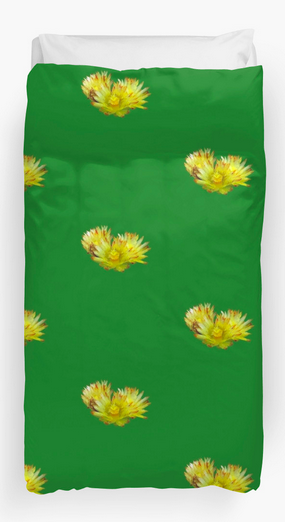 This Golden Barrel Cactus Flower Duvet Cover is available in three sizes–twin, queen, and king– and is a lovely accent to the natural environment of your bedroom. What else can be said about it? I assume it’s soft and comfortable and I’m pretty sure it’s machine washable and color fast. What I do know for absolute certain is that it’s the first digital painting I ever did where I was 100% happy with the result. These flowers look really, really good. I know I’m proud of what I painted and that this design is a good one. I know that if you like it here, you’ll love it on your bed. This is one of the newest products: big scarves, great for wrapping around your neck or head. You could probably use it as a beach cover up or fold it in half and wear it as a skirt. 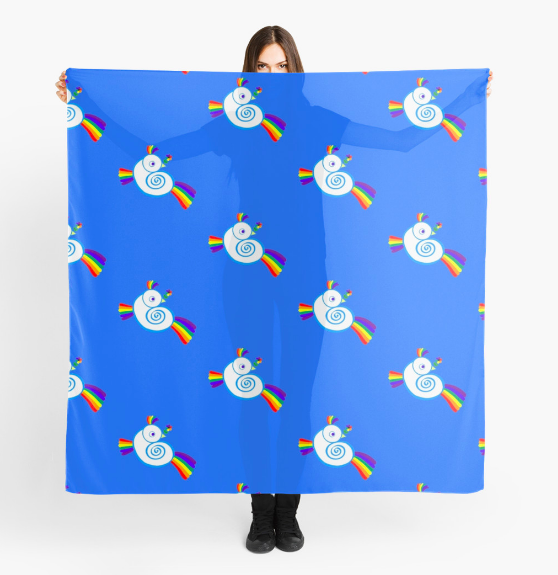 Cheer up with the Rainbird Scarf. 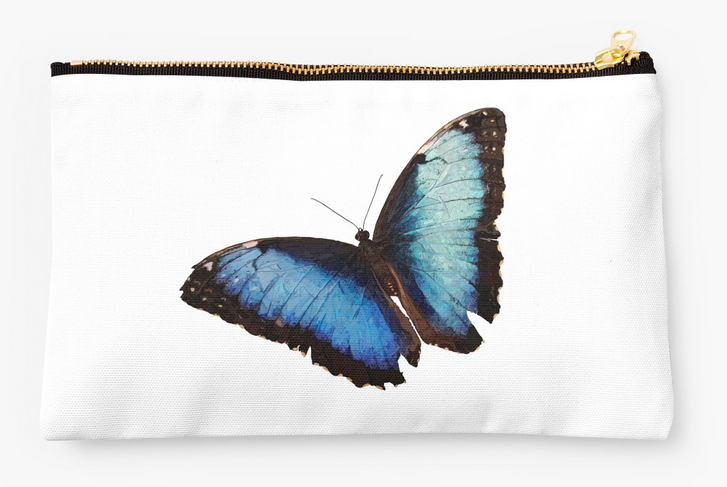 This entry was posted in Clothing and tagged barrel cactus, butterfly, clothing, duvet cover, flower, flowers, leggings, peacock, rainbird, redbubble, scarf, studio pouch, t-shirts, travel mug, truck, yellow, zipper bag on April 28, 2015 by littledragonblue.